The Generals battled the Barrie Colts tonight in the last game of the weekend at the Tribute Communities Centre. 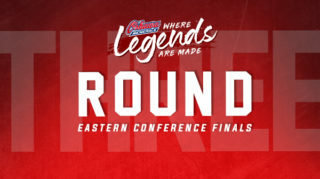 After coming off two clutch victories in a shootout and overtime against the Bulldogs and Otters respectively, the Gens entered the contest with a 32-18-3-0 record on the season. 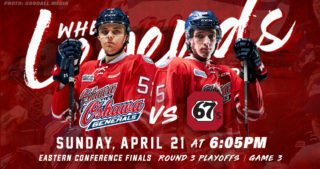 Looking to complete the weekend sweep, the Gens aimed for their third win in a row tonight. Oshawa opened the game with tons of energy and physical play that was highlighted by a big hit by Gens defenseman Nico Gross. Through the opening half of the period, neither team was getting lots of shots on net, but the Gens held the edge over the Colts by limiting them to zero shots while generating four of their own. 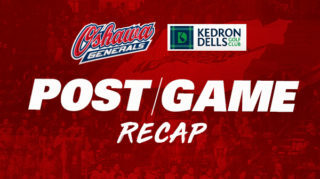 Barrie finally registered their first shot on net from the slot right at the halfway mark of the first, but Generals goaltender Kyle Keyser turned away the chance to keep the game scoreless. With just under five minutes left in the period, Brandon Saigeon came streaking into Barrie’s end on the right wing before sniping home a top corner shot past Colts goaltender Kai Edmonds for the game’s first goal. 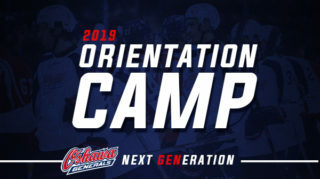 Gaining momentum from the 1-0 lead, the Gens continued their offensive success just a minute later with Giovanni Vallati throwing a puck on net from the corner that found its way through Edmonds to increase Oshawa’s lead to two. Holding off the Colts for the remainder of the period, the Gens headed into the first intermission up 2-0 over Barrie. Beginning the period with the game’s first powerplay off a Colts penalty taken at the end of the first, the Gens looked to extend their lead on the man advantage. Oshawa was able to set up a good cycle and get several looks on net but couldn’t find their third goal on the opportunity. Right after their first penalty expired, the Colts were called again for too many men but the Gens powerplay went unsuccessful on their second try. However, Barrie’s penalty struggles continued right after by taking another penalty for delay of game for their third straight infraction. 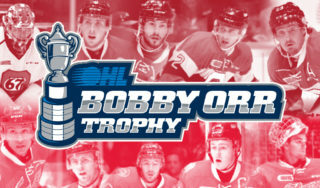 This time around, Oshawa’s powerplay made no mistake on the chance with Giovanni Vallati ripping a point shot that was redirected in front by captain Kyle MacLean and into the net to give the Gens a commanding 3-0 lead. After the goal, the Gens took a penalty of their own for hooking to give Barrie their first powerplay, but Oshawa was able to shut them down with a strong defensive effort on the penalty kill. Back at even strength, Barrie managed to get their first goal of the game after Colts forward Jason Willms tucked the puck in to send the game into its final frame with the Gens leading 3-1. The Gens started the third with a few quality chances in the Colts end before taking a penalty for slashing four minutes into the period. While Barrie was on the powerplay, it was the Gens who had the best offensive opportunity with Allan McShane getting a shorthanded breakaway that was turned away by Colts goaltender Edmonds with a highlight-reel desperation toe save. At the halfway mark of the period, the Colts got called for tripping to give the Gens a powerplay opportunity. During the first penalty, Barrie was called again for delay of game to give the Gens a short 5-on-3 chance. While they didn’t score on the two-man advantage, Brandon Saigeon potted his second goal of the night in the latter half of the second penalty to give the Gens a three-goal lead with seven minutes left in the game. With time winding down in the third, the Gens were able to defend against the Colts and hold onto their lead for a big 4-1 win at home. 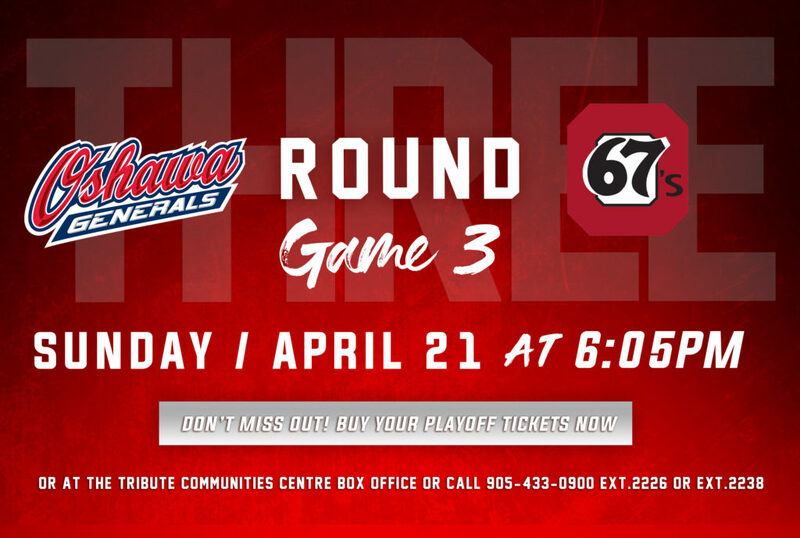 After extending their win streak tonight to three straight games, the Gens will look to keep the victories rolling in a big game on Wednesday night at home against the Peterborough Petes for Rivalry Night!